Gorgeous home w/ so much to offer located within Hawks Landing. Kitchen has modern finishes including stainless steel appliances, custom 42" cabinets, granite counters & hardwood floors. Formal dining w/ hardwood floors. 2 Story Great Room has Gas log fireplace. New Carpet & paint through out the home. Master suite on main has walk in closet, dual sinks, full shower & garden tub. Loft space with 2 bedrooms on 2nd floor. 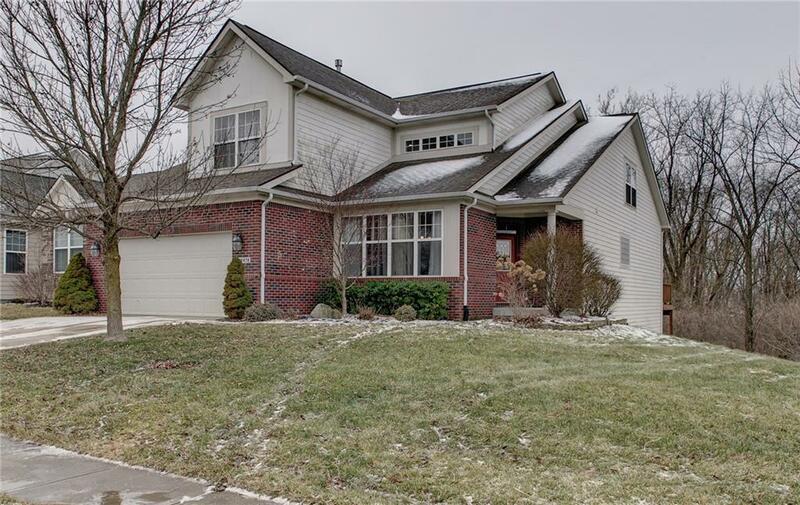 Walk out basement has spacious Family Room w/ wet bar, great for entertaining. 4th Bedroom w/ full bathroom in basement. Wooded lot offers beautiful views of stream. Short drive to Hamilton Town Center for dining, shopping.